Something #Incredible is going to happen at #IFA2014, see you there! So we are right now wondering what it can be. Conjectures about a new smartwatch by ASUS have been varied including guess about its price. But the image in the tweet shows up an slightly illuminated rounded structure that resembles a smartwatch. Besides the quote “Time has been transformed and we have changed” emphasizes more on the fact that the device has high probability of being a smartwatch. 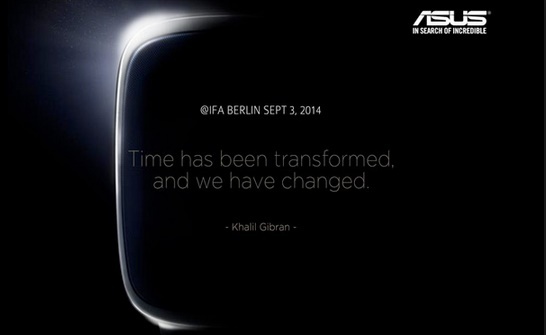 The IFA will start on September 5th but we heard that ASUS will promulgate it on September 3rd. ASUS will be the third company to manufacture Android smartwatch other than Samsung and LG.